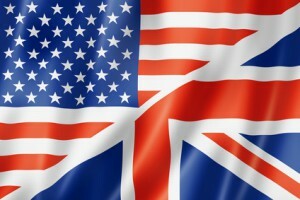 topcorrect Blog What is the difference between American English (AE) and British English (BE)? The two most important dialects of the English language are American English (AE) and British English (BE).The differences between the two are more diverse than you might think. In many cases, differences exist in pronunciation, vocabulary, punctuation and grammar, as well as, in the orthography of individual words. Be informed before you start your academic writing, because such texts must be consistent in their choice of dialect. Many colleges specify either AE or BE, but all universities at least require consistency. Therefore, let us briefly introduce you to the main differences between American English and British English. There are several differences in spelling between the two dialects. For example, many words ending in –re in British English end in –er in American English—as in ‘centre’ and ‘center’. Another example is that words ending in –our in Britain have an –or ending in the United States—such as ‘colour’ and ‘color’. The list of spelling differences is quite extensive. There are also differences in vocabulary. For example, some British English words do not exist in the American language, or have different meanings, and vice versa. The following examples first present the British English word and then the American alternative: caravan / trailer, biscuit / cookie, form / grade, football / soccer, garden / yard, etc. Many other such vocabulary differences exist between the two dialects. An example of the grammatical distinctions between the two variants involves the verbs ‘have’ and ‘get’. People in the US tend to say ‘I have two cars”, whereas British inhabitants would prefer ‘I have got two cars’. Before writing your text, double-check whether you want to or are supposed to write in British or American English. Regardless of which dialect you use, each sentence should be clearly understandable. The differences between American and British English can significantly influence the quality of your English writing, and, therefore, your score. Hence, it is advisable to have your English corrected by a professional proof-reader. This entry was posted in Miscellaneous, Studies and tagged Academic writing, American English, British English, University, University requirements. Bookmark the permalink. Why should I invest in a professional correction?